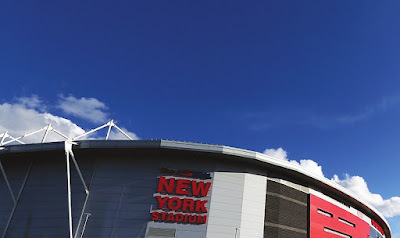 Barnsley & Rotherham Chamber's annual business showcase, Chamber Means Business, is returning to Rotherham United's New York Stadium in September. Taking place at the AESSEAL New York Stadium on Thursday September 6 from 9:00am to 2:30pm, Chamber Means Business – sponsored by Burrows Fleet and Business Centre, ONS Group and Osborne Technologies - is free to attend and open to all entrepreneurs and business owners. Throughout the event, exhibitors and delegates will have the opportunity to make new business contacts, network and take part in a range of seminars hosted throughout the day. This year, all 56 exhibition stands available to local businesses sold out in record time, with confirmed exhibitors including AAG IT Services, awesome., Experian, SuperTram, Steel City Branded Merchandise and Worldpay. On the day, exhibition sponsors Burrows Fleet and Business Centre will be providing free test drives for delegates to be pre-booked, along with Osborne Technologies who will be showcasing their mobile SensoryPod, an advanced self-contained multi-sensory room. - Damien Wilson, Strategic Director of Regeneration & Environment, Rotherham Metropolitan Borough Council. The interactive session will provide the opportunity to find out more about the current regeneration work being undertaken in our region, as well as offering an insight into one of the worlds well-known supercar manufacturers, McLaren, and their relocation to Rotherham. Andrew Denniff, chief executive of Barnsley & Rotherham Chamber of Commerce, said: "We are delighted to have attracted such a high level of speakers to our event. 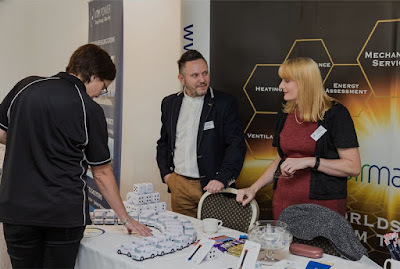 I trust that local businesses will come along and get involved in the panel session and take the time to visit all our exhibitors on the day." Two seminars are scheduled to take place during the day and the topic and speaker for the morning seminar will shortly be announced.